As if it could really be any other story for Tom Baker. Of course this isn’t to say that Baker hasn’t had his fair share of classic tales (his era is still looked upon as the pinnacle of Who by many) but this is a defining story for both The Doctor and his greatest enemies, possibly the most iconic alien life forms in modern culture, The Daleks. 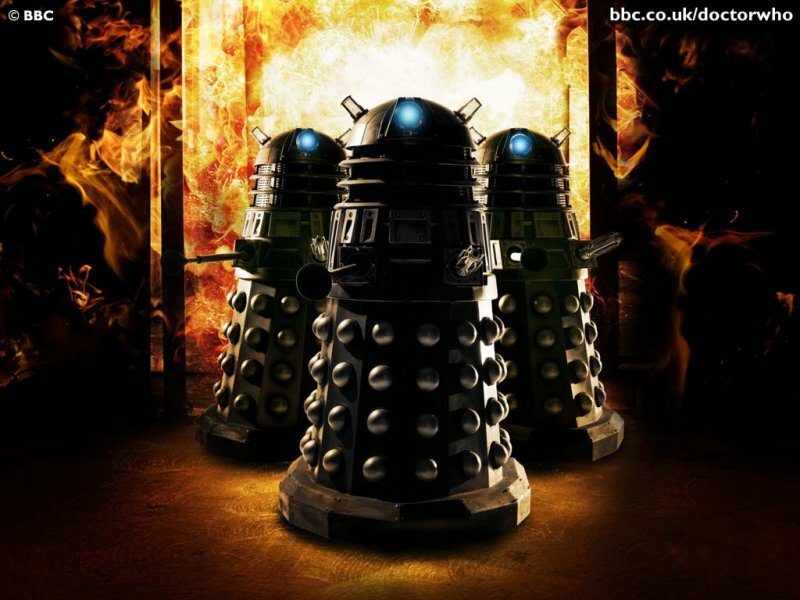 For the uninitiated, Genesis of the Daleks is basically an origin story for Skaro’s metal monsters. The Time Lords send the 4th Doctor, Sarah and Harry on a mission to destroy the Daleks before they’re properly created (fun fact: this move has since been referred to as the first shot of the Time War). What follows is a stone cold classic adventure, apart from the giant clam (yes, really). This was early on in Tom Baker’s tenure as The Doctor and an encounter with The Daleks was a defining moment for a Doctor even back then. He’s on top form here, all wide eyes, mad grins and complaining to military officers about the lack of tea or coffee. Harry and Sarah Jane are two fantastic companions that, with The Doctor form the strongest trio in the shows history, Ponds be damned. Unfortunately, Sarah spends the majority of this story apart from the others, climbing up missile silos and befriending mutants. But what’s most important here is the brilliance in which we find out how Daleks became Daleks. Terrifyingly, they once looked human. Called Kaleds, (imaginative) they were locked in a devastating war and even before they jumped in pepperpots to destroy the galaxy, it’s clearly established that they were horrible nazi bastards. Of course, this episode also introduces us to Dalek creator and king prawn lookalike, Davros. Pretty much an equal to The Doctor, the fact that he was batshit crazy and power mad was absolutely terrifying. Think Hitler crossed with a really angry Dalek and you come close to what Davros is. 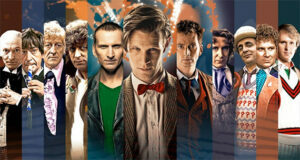 Does the Doctor destroy the Daleks, like the Time Lords asked? Well, considering all subsequent Dalek tales you can guess not. In one of the most important scenes in Who history, The Doctor is given the chance to wipe them out forever and chooses not to. He reasons it will make him no better than a Dalek. Nearly four decades on and people still debate the Doctor’s choice in this episode. A murky moral area, an unbeatable Doctor/Companion combo and a chilling origin story for Doctor Who’s most popular enemies makes this an absolutely iconic story. If you like Doctor Who, you need to watch Genesis.